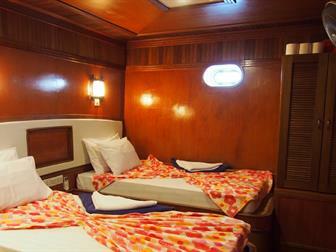 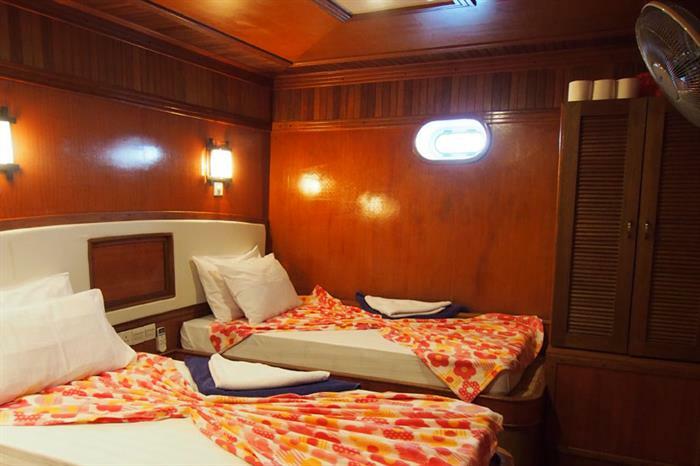 Completed with queen bed, these lower deck cabins offer you a comfortable and relaxed time with a small window, a fan, A/C, and a private shower booth and restroom, flat screen monitor with a DVD player. 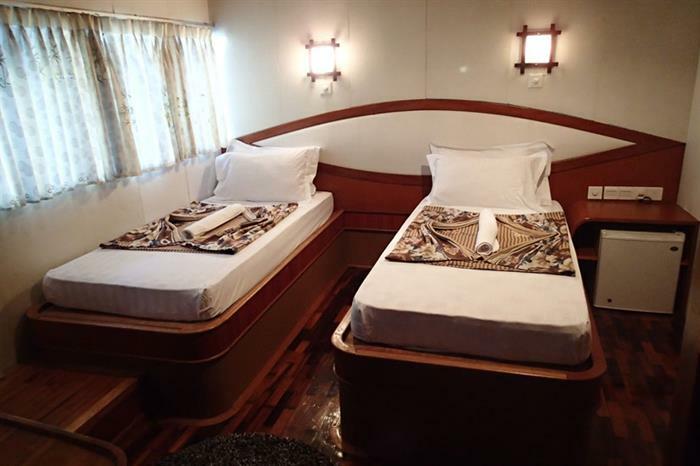 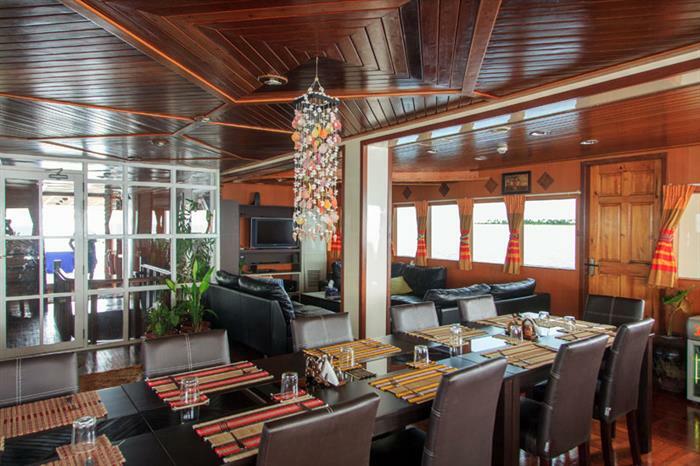 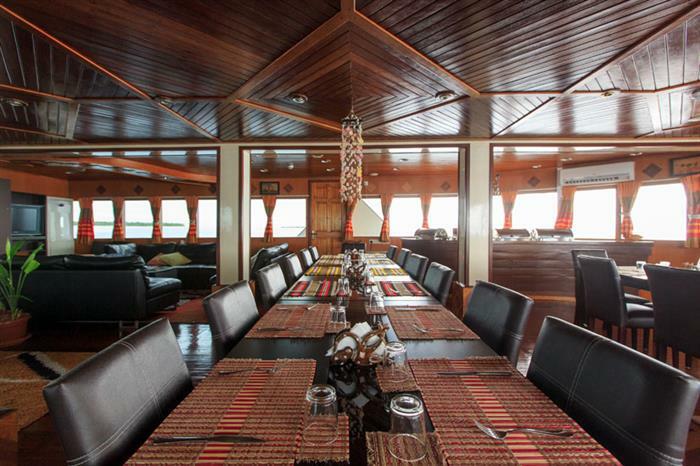 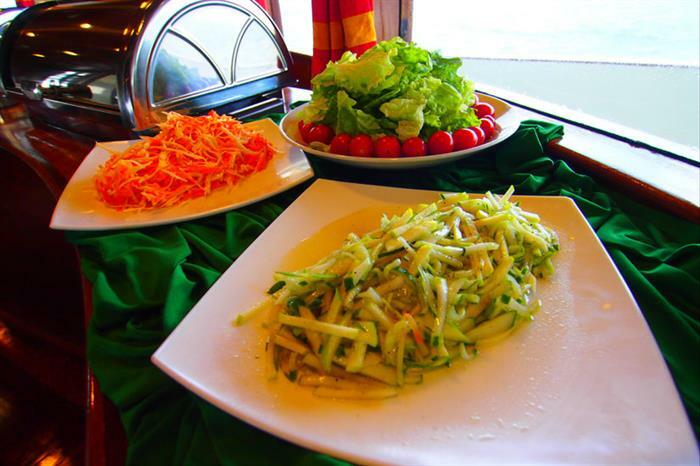 Completed with twin bed, these lower deck cabins offer you a comfortable and relaxed time with a small window, a fan, A/C, and a private shower booth and restroom, flat screen monitor with a DVD player. 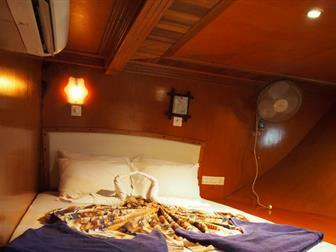 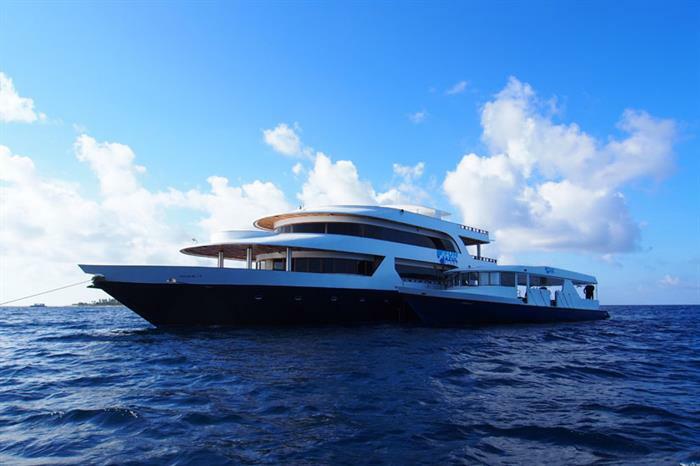 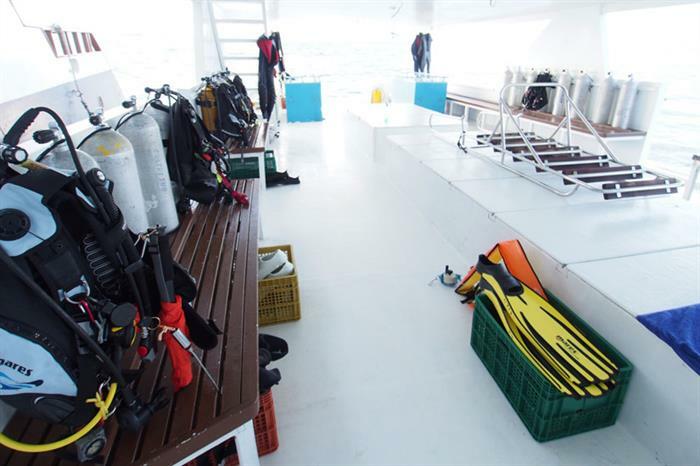 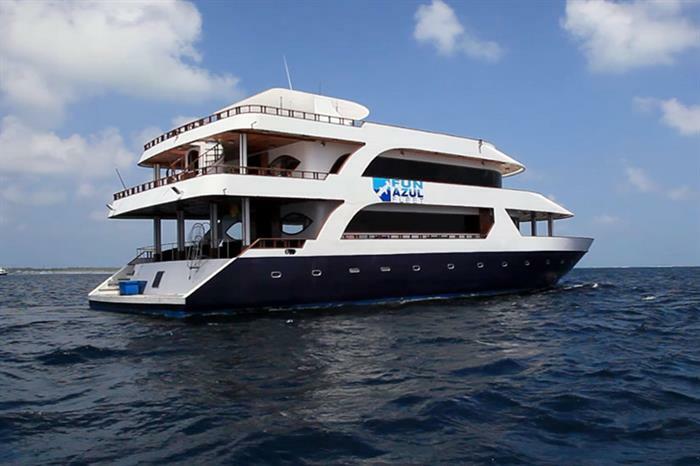 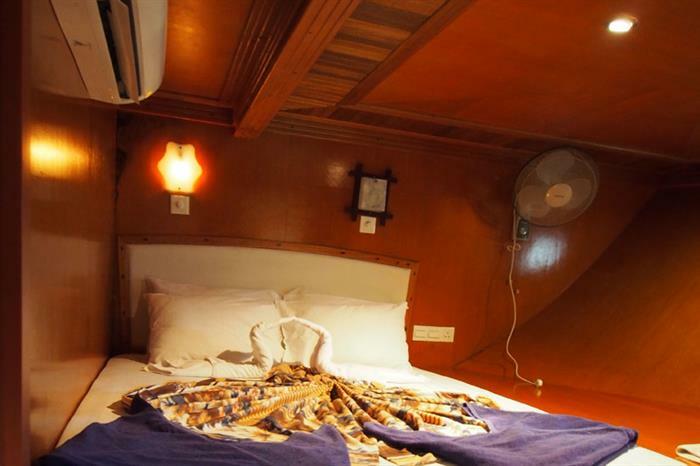 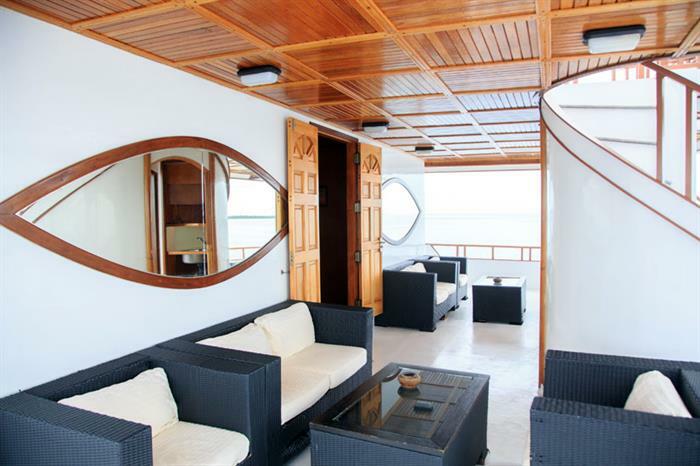 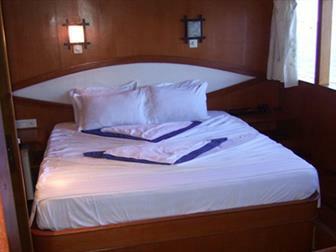 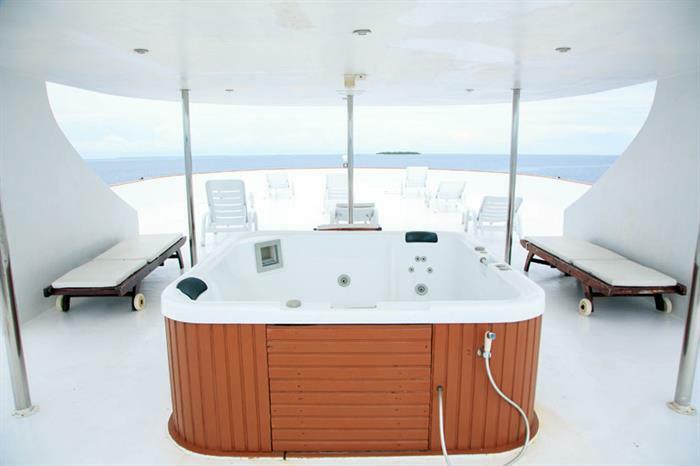 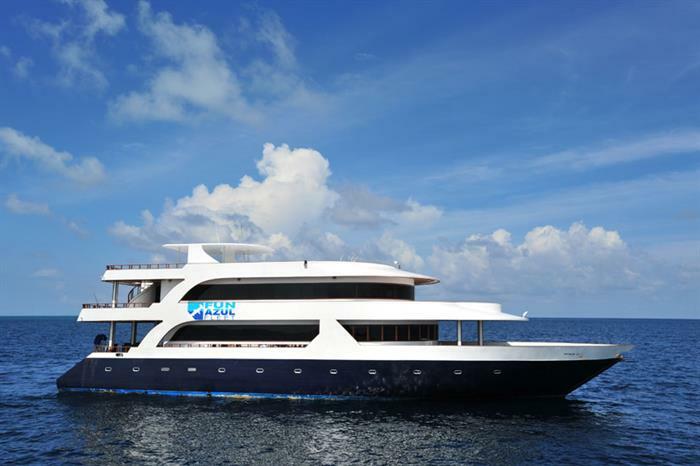 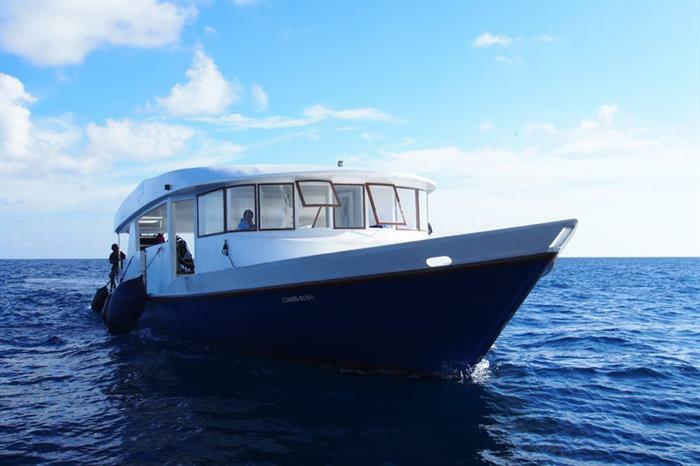 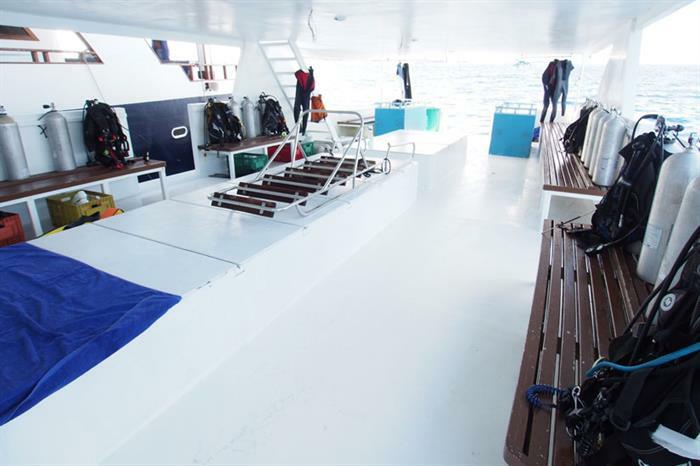 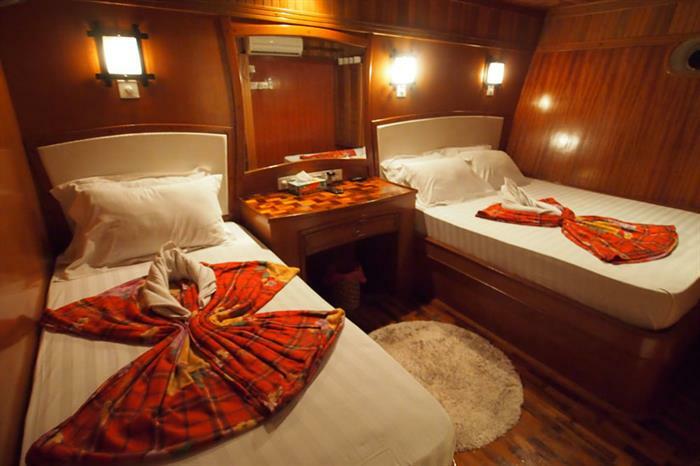 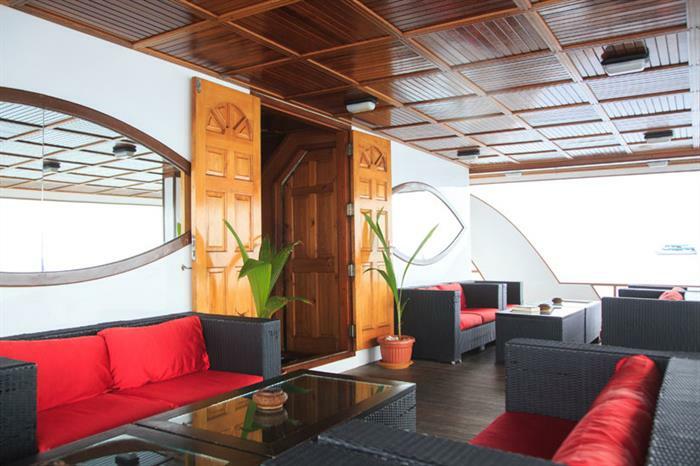 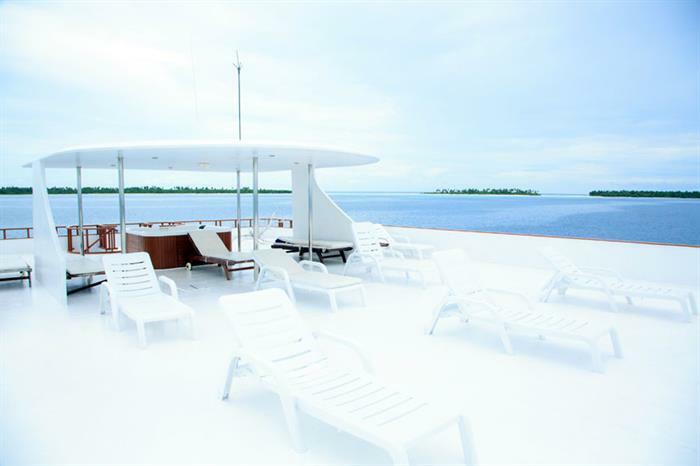 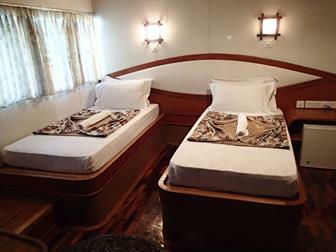 Completed with double bed or king bed, this lower deck cabin offer you a comfortable and relaxed time with a small window, a fan, A/C, and a private shower booth and restroom, flat screen monitor with a DVD player. 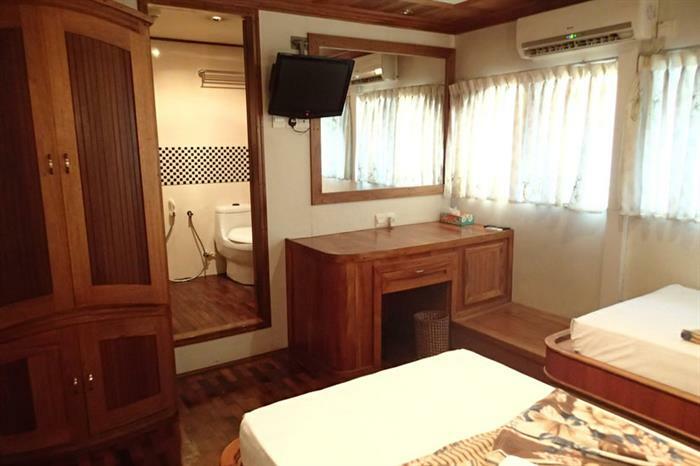 Completed with twin bed, these upper deck cabins offer you a comfortable and relaxed time with wide windows, a fan, A/C, a private shower booth and restroom, mini bar (not included in the tour fee), a wide dresser with a mirror and a closet, flat screen monitor with DVD player. 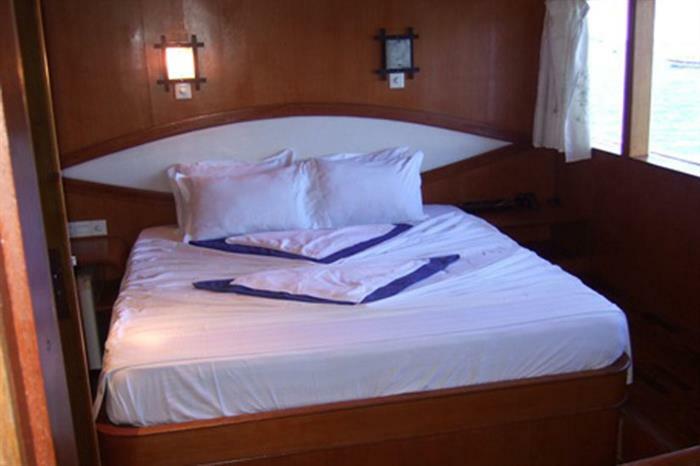 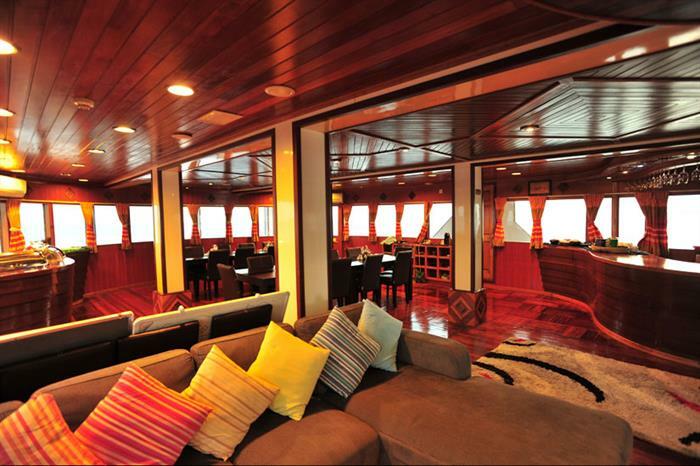 Completed with king sized bed, this upper deck cabin offer you a comfortable and relaxed time with wide windows, a fan, A/C, a private shower booth and restroom, mini bar (not included in the tour fee), a wide dresser with a mirror and a closet, flat screen monitor with DVD player.